FREE Kids Club to keep the children entertained. Join us for our 'Annual Dubbo Chamber of Commerce Race Day' and the official launch of the 2019 Dubbo Chamber of Commerce Rhino Awards on Friday, 14 June at Dubbo Turf Club. Book a seat on the Fashions on the Field Deck,and receive a “people choice” Wild Card entry form, the people choice ballets will be kept and calculated and winner announced at the Daily Liberal Melbourne Cup Day, the top Male & Female ‘People Choice’ will get direct entry into the ‘Shine Like a Diamond’ Gala Ball to be held on Friday November 22. full details HERE. Grab your friends book a seat and secure your Finale Entry. 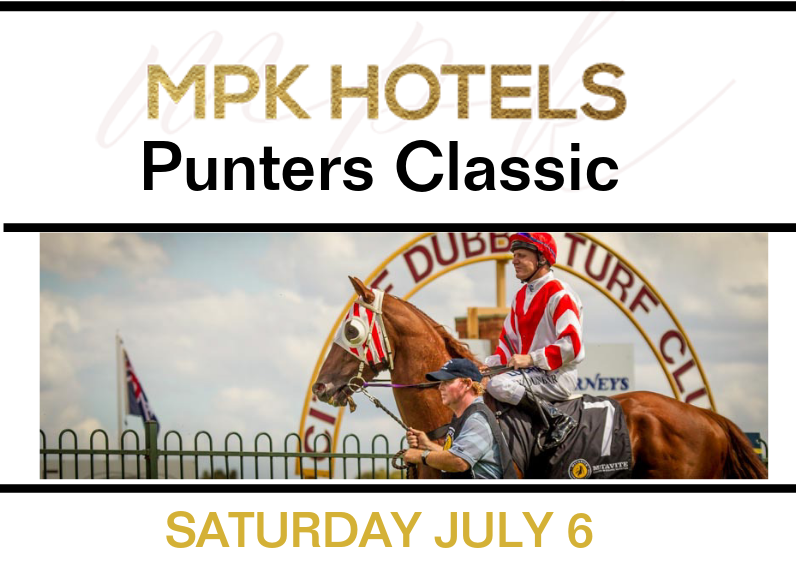 The Heroes & Villans, Sporting Greats, Dougie Walters & Ray Price will be on track for a day full of Punters fun, including the MPK Hotels Punters Classic Challenge, 100 clubs and much more. Don't Miss out, Book Your Christmas Party! Melbourne Cup, The Race that stops the Nation, why not join us on course for all the live action of Dubbo's Daily Liberal’s Melbourne Cup Race Day. A day full of fashion and racing, with the Grand final of the 2018 Whitney’s Jewellers and Landmark Harcourts Fashion on the field series to take place where one Fashionable lady will win the Handcrafted Whitney’s Jewellers Diamond ring. Multiple Hospitality packages available, there is sure to be something to cater for your needs. 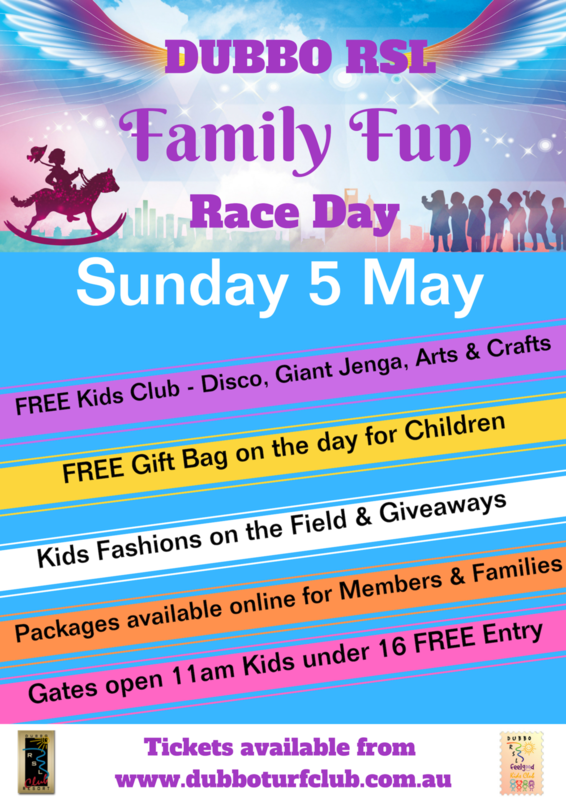 With a full day of great racing, Fun and Fashions. Derby Day is the one day you won’t want to miss! The $60,000 Dubbo City Toyota Gold Cup on Sunday September 16th is our flagship event having achieved "Showcase Status." 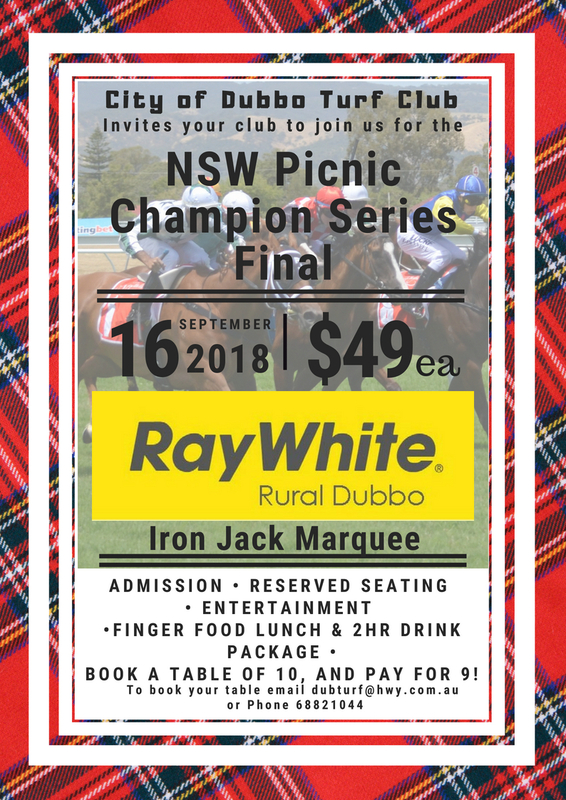 An action packed day of 8 races featuring the 2nd running of the NSW Picnic Champions Final, The XXXX Gold Open Flying and The Country Only Class 2 Showcase Plate. Plus Live Entertainment and a curtesy bus after the last, makes it a day not to be missed. 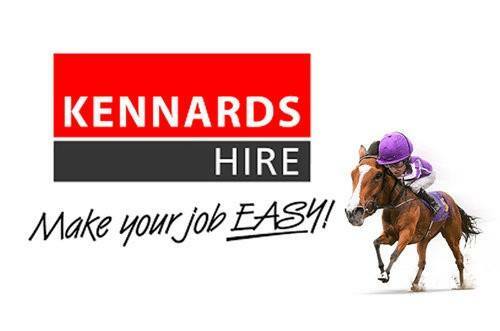 The Whitney’s Jewellers and Landmark Harcourts Fashions on the Field Series Continues, with only a few more chances to tally up points for your chance to Win the $8000 Prize, Drawn at The City of Dubbo Turf Club’s Melbourne Cup Race Day. 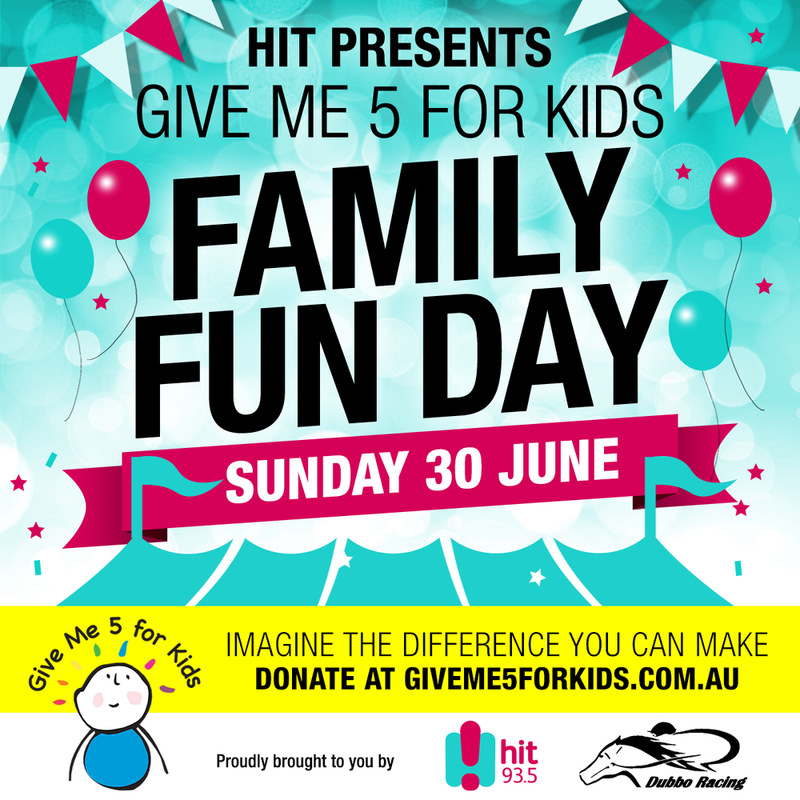 Join us on Friday afternoon to support Give Me 5 for Kid's and enjoy an exciting afternoon of racing. Southern Cross Austereo have been raising funds for children's wards in regional hospitals for the last 20 years and have partnered with the City of Dubbo Turf Club to continue their fund raising efforts.